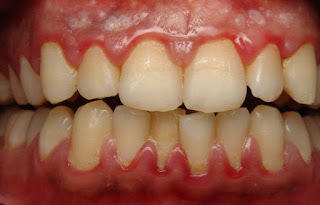 Pyorrhea is a serious disease of the tooth that infects the muscles around the teeth and harm them. This disease is due to many health-related reasons and is not limited to problems related to teeth only. The problem of the pyorrhea is due to the bacteria being formed on the teeth and gums. What are the main causes of pyorrhea ? Pyorrhea is an infection in the gum,which is caused by bacteria,these bacteria transmit them by depositing on your teeth and gums.This disease mostly affects the gums and there can be unbearable pain in the teeth.When the teeth are not cleaned properly every day, mouth bacteria begin to grow, which affects your teeth and gums through pyorrhea disease.Bacteria in the mouth increase the growth of a sticky substance,called the dental plaque and this harm the teeth and gums,which is known as pyorrhea disease. Feeling of irritation in the gums and formation of blisters. Bleeding from gum on touch. Scaling treatment - In this process,using an instrument,laser or ultrasonic device for remove tartar and bacteria from the surface of the tooth and under the gums. Root planning - It softens the tooth surfaces,thereby preventing the preparation of tartat and bacteria, thereby reducing the risk of pyorrhea. Antibiotics - Topical or oral antibiotics help in controlling bacterial infections. To completely eliminate bacterial infections, oral antibiotics may be necessary.